SKU: ENEMED19. Category: Energy Reports. Tags: energy, Energy Report, gas, Joint Research Center, Matching Energies Foundation, oil, SRM. The following report describes the main actions and priorities of the renewable energy sector in Israel. The goal is to provide a framework of laws and financial instruments for companies wishing to invest in renewable energy in this country. This report is produced by SRM and it is adapted from the guide “Fare Energia con l’impresa” published by Intesa Sanpaolo Group. The following report describes the main actions and priorities of the renewable energy sector in Egypt. The goal is to provide a framework of laws and financial instruments for companies wishing to invest in renewable energy in this country. This report is adapted from the guide “Fare Energia con l’impresa” published by Intesa Sanpaolo Group. The following report describes the main actions and priorities of the renewable energy sector in Albania. The goal is to provide a framework of laws and financial instruments for companies wishing to invest in renewable energy in this country. Currently, despite the abundance of natural resources, the contribution of clean sources to the supply of primary energy in the Med Area is very limited; in fact, the supply in the Med Area is still dominated by fossil fuels. In the south and east of the Basin, they account for 94% of the national energy supply, while in the north the percentage is 75%. On the other hand, if we look at the production of renewable energy sources, only 1 GW of capacity has been installed in the south, while there are 19 GW of installed capacity (excluding the hydroelectric generation) in the north. In particular, the MENA Area has one of the highest potentials in the world for the generation of solar energy: the IEA (International Energy Agency) has estimated that, thanks to the concentrated solar power (CSP), it would be possible to cover 100 times the consumption of the MENA Area and Europe together. These are all factors to take into account as from today to 2020, the whole region will need an additional production capacity of 191 GW to meet the growing demand for energy, of which 106 GW should be installed in the south and east and 85 GW in the north. This report is extracted from the SRM’s 3rd Annual Report on “Economic relations between Italy and the Mediterranean area – November 2013″. The following report describes the main actions and priorities of the renewable energy sector in Turkey. The goal is to provide a framework of laws and financial instruments for companies wishing to invest in renewable energy in this country. The following report describes the main actions and priorities of the renewable energy sector in Algeria. The goal is to provide a framework of laws and financial instruments for companies wishing to invest in renewable energy in this country. This paper offers an analysis of the energy reference context and examines the current state and development prospects for clean energy sources on the Southern Mediterranean shores. It presents the objections and obstacles which up to now have impeded their full exploitation, and singles out several among the more interesting projects in the initial starting phase among these countries. It concludes by outlining the future opportunities for the Region’s growth associated with developing a green economy. The sector of renewable energies will offer space for large investments that in the Med countries, find conditions of maximum efficiency. This report focuses on the ongoing projects in the countries of the southern and eastern shores of the Mediterranean. The World Bank estimates the need for investment in the energy sector in the MENA region will be 30 billion dollars a year within 2040. This report is extracted from the SRM’s 4th Annual Report on “Economic relations between Italy and the Mediterranean area – November 2014″. Both the English and Italian version may be purchased from this website in digital version, at a discounted price. The following report describes the main actions and priorities of the renewable energy sector in Morocco. The goal is to provide a framework of laws and financial instruments for companies wishing to invest in renewable energy in this country. The following report describes the main actions and priorities of the renewable energy sector in Tunisia. The goal is to provide a framework of laws and financial instruments for companies wishing to invest in renewable energy in this country. Energy, and specifically renewable energy, is a key factor for understanding economic relation between Italy and the Med Area, where important network investment projects are developing. On the domestic front, it would help overcome the daily criticalities of energy exchange among the various areas of the country, which still partially limit the bulk use of renewable energy sources, in themselves “intermittent”, hardly programmable and, thus, difficult to regulate. On the external front, it would sustain, in the future, the required achievement of a single power market on a European scale, with a further extension to the Balkans and Maghreb, with significant energy exchanges through numerous international connections, promoted by European Union. 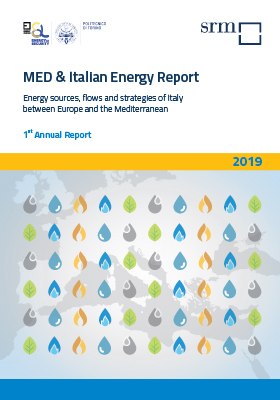 As part of the trade relations between Italy and the Med Area, the countries lining the southern shores of the Mediterranean play a strategic role as energy suppliers for Italy. Within the current European framework with widespread instability at its borders (Iraq, Syria, Libya) and inside them (the Russia-Ukraine crisis), security surrounding energy sources has become a priority for Europe and for Italy in particular. Italy, has a high dependence on energy coupled with an insufficient national production and levels of internal import (from other European countries) covering less than 15% of its overall energy import against 40% of France and almost 50% of Germany. This in-depth analysis investigates Italian data relating to energy consumption, production, intensity, degree of dependency and import by geographical area and compares them to those of Germany and France. The following report describes the main actions and priorities of the renewable energy sector in Croatia. The goal is to provide a framework of laws and financial instruments for companies wishing to invest in renewable energy in this country.